If your phone system goes down there can be a major disruption to your business, if you have more than one site then you can expect to see costs for disruption multiply. B4BC provides award-winning telephone system maintenance packages giving you the peace of mind, if any problems do occur, we are there to help quickly. Our engineers are highly experienced in all business telephone systems & our telecommunication engineers are fully trained on all major phone system brands. 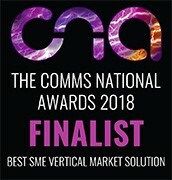 Choose an award winning telecoms provider. Need an engineer in your area? We have telephone engineers across the UK if you need help as a business or household. Leave your details below for help with anything telephony related, with over 12 years in business, you’re in safe hands & with recognised customer service, we can help. If a problem occurs with your telephone system you need a provider that is quick to react, we guarantee a response time for major system faults within 4 hours & minor phone system faults within 8 hours. With our telephone system maintenance & repair service, we offer clients maintenance agreements, to support any existing telephone system. Speak to a friendly adviser today for help with telephone system maintenance agreements. We have the ability to dial into most phone systems, providing diagnostics & fault reporting. We are also able to offer an immediate emergency divert for all of your incoming calls to a telephone number of your choice during a rare period of outage. B4BC has over 11 years experience in telephone maintenance, choose an award-winning provider for your telephone system maintenance service. Unlike many maintenance providers, B4BC gives you your own personal account manager, there to provide support & technical assistance. As an award-winning comms company, we specialise in phone system maintenance. We do not sub-contractors, meaning you are fully supported by our experienced Award Winning Team. We are telephone systems maintenance experts. 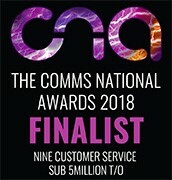 As an award-winning communications provider, we can certainly help with your needs. 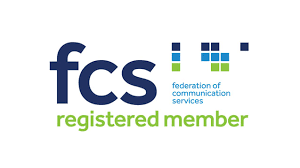 Best 4 Business Communications have a team of highly qualified & experienced engineers on hand to deal with any type of fault or issue you may have. We are a nationwide telecommunications company offering nationwide telephone system maintenance. Get in touch on if your business is currently out of for a new phone system maintenance contract, or if you need help with one of support.